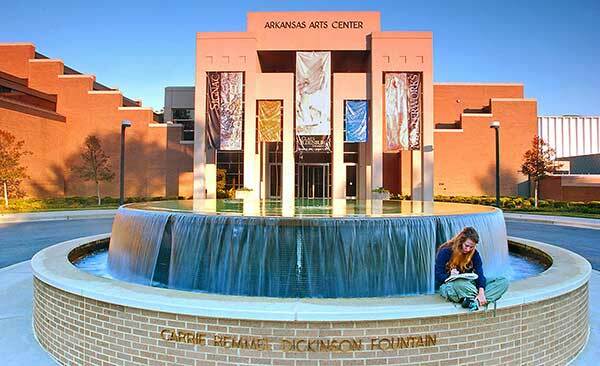 Here is a 3 minute tour, produced by the Little Rock Convention and Visitors Bureau. For more information and details, scroll. The Arts Center is located right in our back yard in MacArthur Park. It has a fine art collection, and is especially noted for its drawings by famous masters. It also has a wonderful gift shop, a café, art classes and a Children’s Theater. 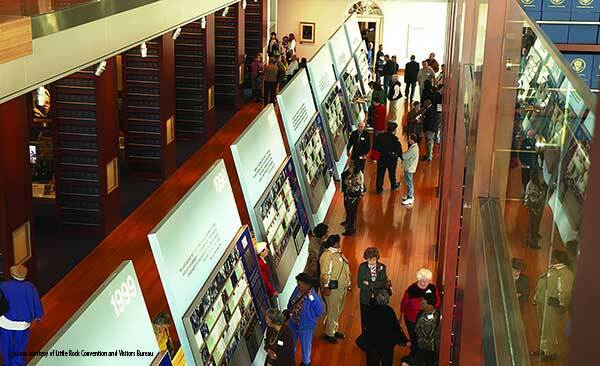 The Clinton Presidential Library and Museum is THE place see all things Clinton! Noted for its excellent design inside and out, the LEED Platinum certified library is located in a beautiful setting of restored wetlands right by the Arkansas River. 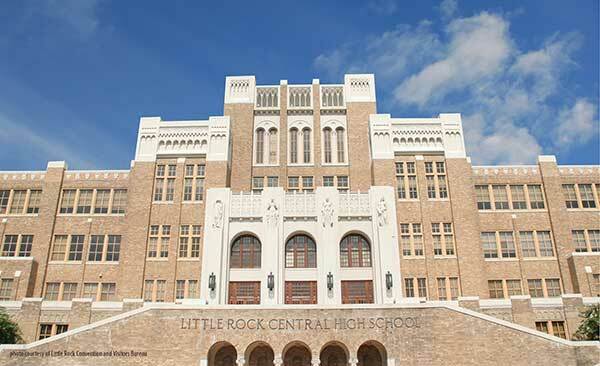 Central High was the largest and most expensive school in the nation when completed in 1927. 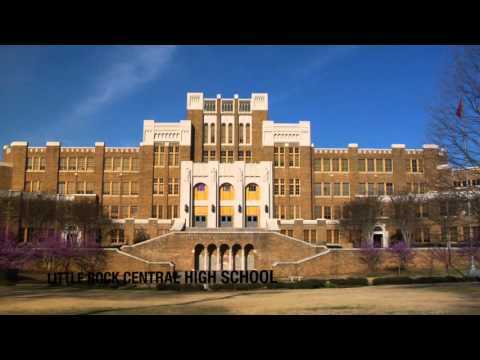 This National Historic Site was the scene of conflict in 1957 over the integration of the students known as the “Little Rock Nine.” Now it serves a diverse student body of 2500. 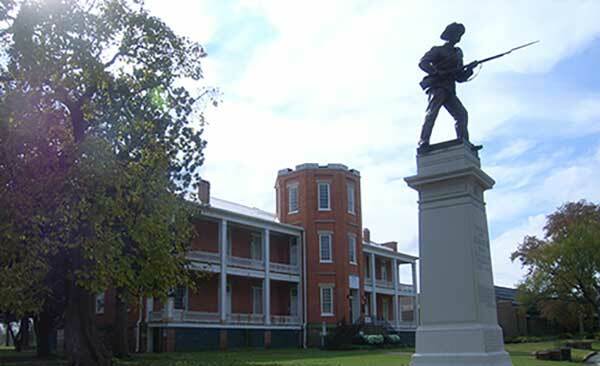 Named for General Douglas MacArthur, who was born in the building, the MacArthur Museum of Arkansas Military History has a fine collection of military artifacts dating from pre-civil war days to the present. Admission is always free! 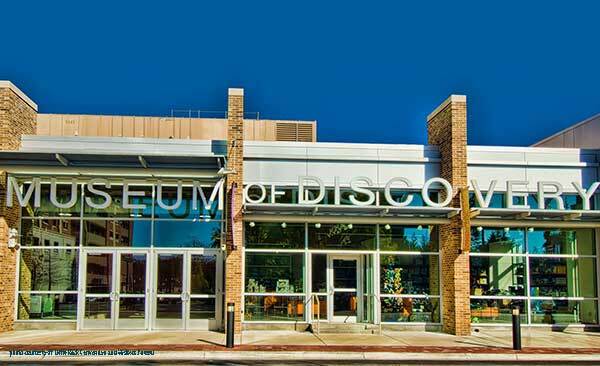 The oldest building in Little Rock is one of four historic building that are part of this museum that focuses on pre-Civil War days. 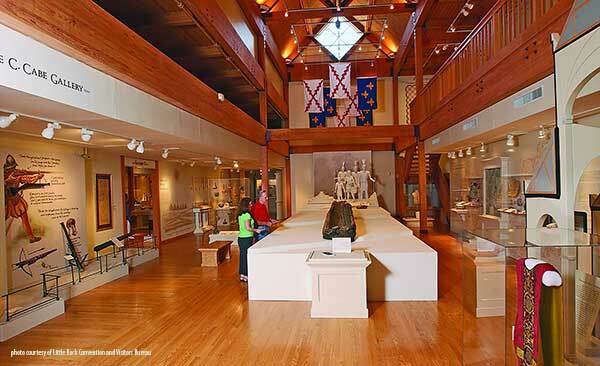 There are living history actors, an awesome knife collection, Native American artifacts, plus art, quilts, and furniture among other things. 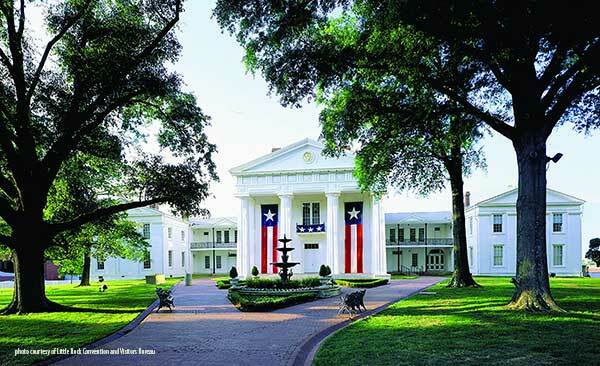 The Old State House is the original capitol of Arkansas, and oldest state capital west of the Mississippi still standing. This was the beautiful backdrop in 1991, when Bill Clinton made his announcement that he would run for the presidency. 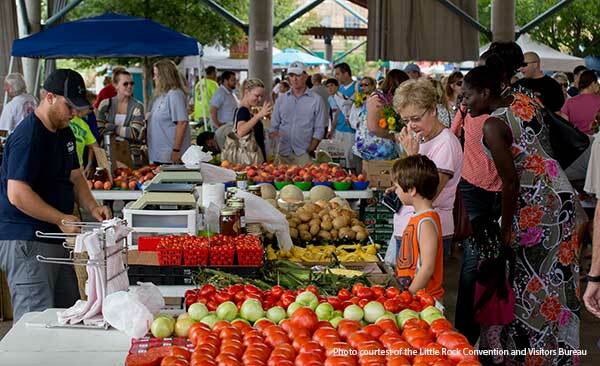 From May to September, the pavilions at the River Market are home to the Little Rock Farmer’s Market, open Tuesdays and Saturdays from 7 a.m. to 3 p.m., rain or shine. Besides the farmers, other vendors offer arts, crafts, and clothing. Meet a lot of friendly people and pick up something to fix for dinner while you’re at it! This place is all about STEM, with interactive everything. Check out the Tesla Theater (250,000 volts of electricity in action! ), Tornado Alley (relive a tornado?! ), and each month, “Science After Dark: Paranormal” is aimed at adults (Stone’s Throw beer, Damgoode Pies pizza and Loblolly Creamery ice cream also available). 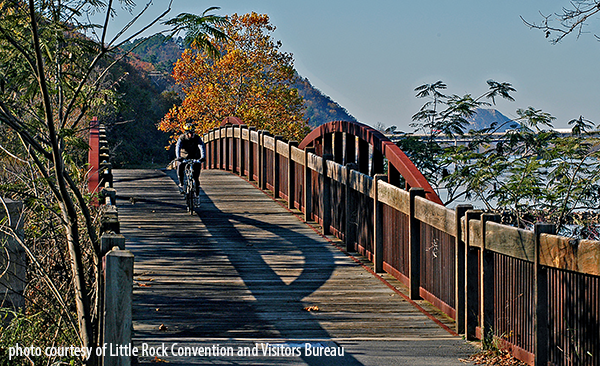 The River Trail, which covers an 88-mile loop in central Arkansas, begins here. Bike rental is available at Bobby’s Bike Hike. You can go from downtown to Burns Park, to the Big Dam Bridge (named one of “the Coolest Bike and Pedestrian Bridges in the US“, to Pinnacle Mountain and beyond if you’re ambitious. The Rivermarket has got you covered at night. 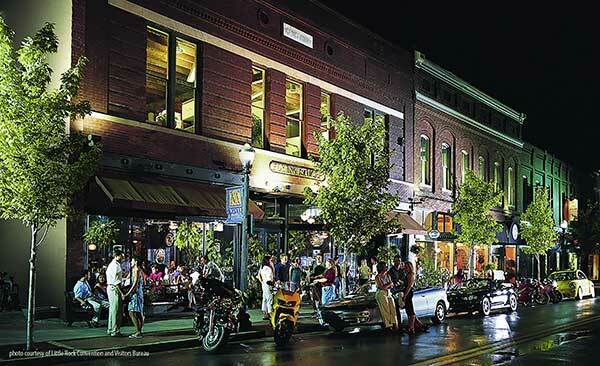 Rock out at the Rev Room or Stickyz. Beer and wine flow at The Flying Saucer (over 200 different beers) and Zin (36 wines by the glass + beer). 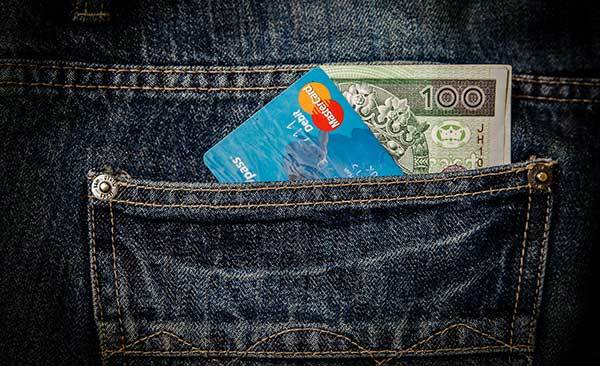 Want to splurge on fine dining? Try super-chic Cache or Sonny Williams Steak Room. There are tons of great places for more casual cuisine, too. 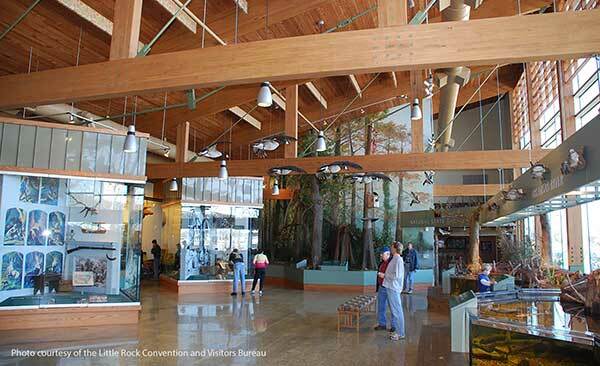 The Witt Stephens Jr. Central Arkansas Nature Center takes advantage of its location on the Arkansas River to showcase the fish, birds, other animals, and plants of the state with inside and outside exhibits. Admission is free. They have daily geocaching, and several programs for kids. You can even watch them feed the alligators on Fridays! If you’re looking for unique clothing and gifts, you can find them here. The Freckled Frog is for locally made items, and Ten Thousand Villages has unique handmade stuff from all over the world. Fringe has you covered with fashion-forward women’s clothing; Strong Suit can dress up the guys. And don’t forget all of those museum shops! We are looking for contributions to further improve the hostel and finish the museum. Can you pitch in?